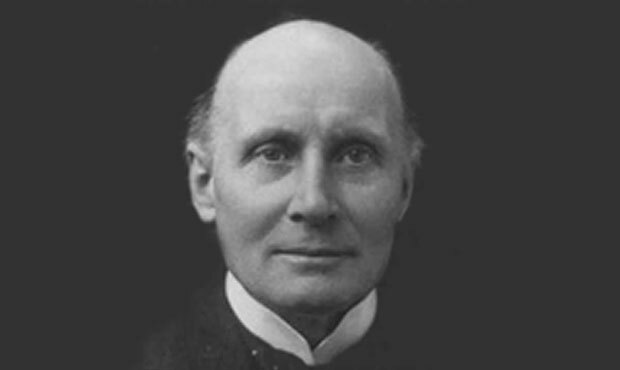 Alfred North Whitehead was a British mathematician, logician and philosopher. He made various and significant contributions to the Mathematical world. Alfred North Whitehead (15 February 1861 – 30 December 1947) presented the Mathematical field with writing which ranged from algebra, philosophy of science, logic, foundations of mathematics, physics to metaphysics. He was born at Ramsgate, Kent, England and was schooled at Sherborne School, Dorset which was one of the most well reputed institutions. Whitehead’s grandfather had founded quite a smooth running Academy but he wasn’t admitted there. In his childhood life, he excelled in sports and mathematics; moreover he was head prefect of his class which presents the mathematician as talented and highly capable from a very young age. He passed his matriculation from ‘Trinity College, Cambridge’ (1880) and gained his BA in 1884. He was also elected as a Fellow in Mathematics (1884), and he would teach and write for years to come in the University. Later on: After years of academic investment, the mathematician resigned from his position at Trinity College due to the termination of a colleague’s job. He also ran into considerable conflict with the Cambridge over the issue of 25 years for a Senior Lecturer. Whitehead married a woman of Irish origin, Evelyn Wade; they had two sons and a daughter together. One of the sons passed away while taking part in World War 1 as part of the Royal Flying Corps. During this time, Bertrand (his co-author for one of his books) was serving his time in prison for anti-war expressions and activities, many people believe that their dichotomy over this issue caused them to distance themselves academically as well. Whitehead’s family was influenced by the Church of England, to make it even more effective, his uncles and father were vicars whilst his brother was the Bishop of Madras. Before World War 1, he had classified himself as an agnostic, but possibly due to his wife’s following and writings from Cardinal Newman he finally bent towards Roman Catholicism. The duration from 1910-26 was spent at University College London and Imperial College, London, where Whitehead was involved in teaching and writing about physics, theory and practice of Education and Philosophy of Science. He was welcomed into the British Academy in 1931, the mathematician also dared to compete with Einstein’s theory of relativity with his own theory, but it is still contradicted upon today. At the age of 63, Whitehead was invited by Henry Osborn Taylor to Harvard University and was encouraged to take charge of his ideas and teach philosophy. The remainder of his life, Whitehead and his family resided in the United States of America. He retired in 1937 and died ten years later whereby his body was cremated. One of his most well-known works includes the joint efforts with Bertrand Russell that led to Principia Mathematica, which consisted of three volumes (throughout 1910, 1912, and 1913). Whitehead dedicated the 1890s writing the Treatise on Universal Algebra (1898) which paved his position in the Royal Society. His work, ‘Enquiry concerning the Principles of Natural Knowledge’ which explored the philosophical reinforcements of physics, however this has hardly had any great effect upon the field of physics even in the world today. As mentioned previously, Whitehead also took a rather active stance on Educational issues; therefore he compiled ‘The Aims of Education and other Essays’ (1929). In conclusion, Alfred North Whitehead was an intelligent mathematician who managed to pave his way into Mathematics, physics, logic and philosophy. Moreover he focused upon the field of Education and didn’t hesitate in expressing his concerns with the British system of teaching. This great man left his mark behind not in one, but in many different fields.